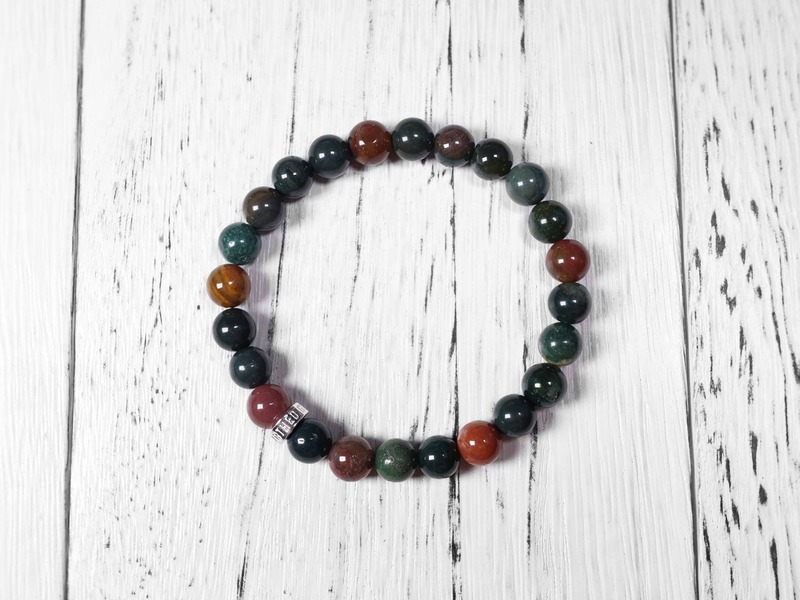 This natural and genuine bloodstone bracelet is colorful with green, red, yellow, and brown. 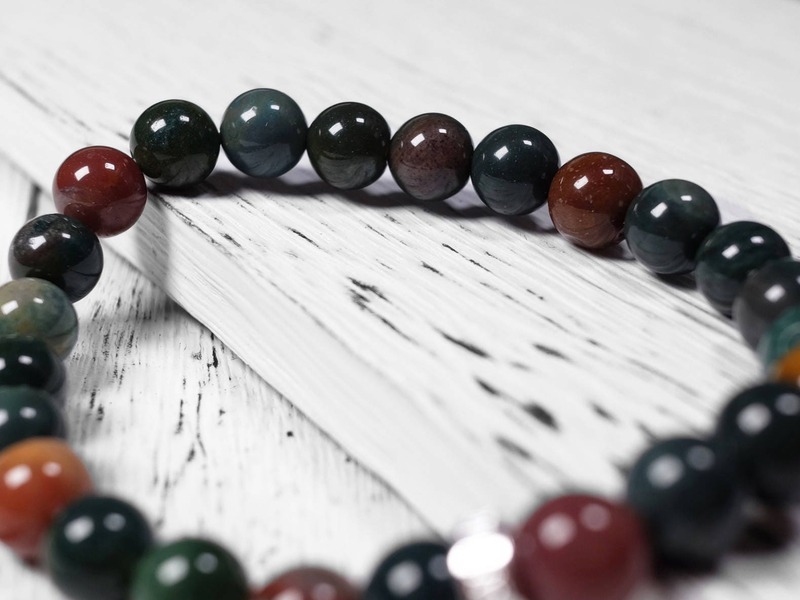 High quality bloodstone with rich colors. 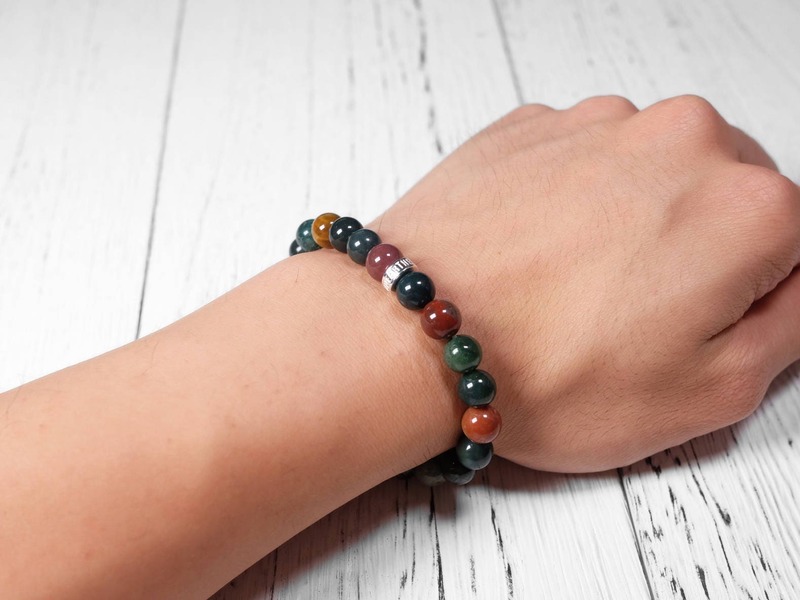 With the touch of sterling silver, this earthy bracelet is a great choice to wear this beautiful gemstone. 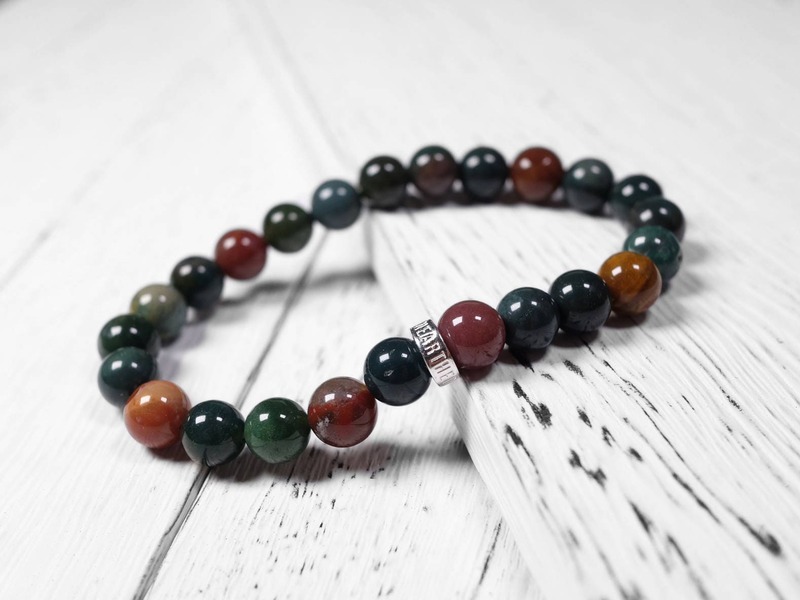 Bloodstone is a green variety of the mineral jasper, which is a type of quartz. It is characterized by the red spots on the stone that resemble blood spots. 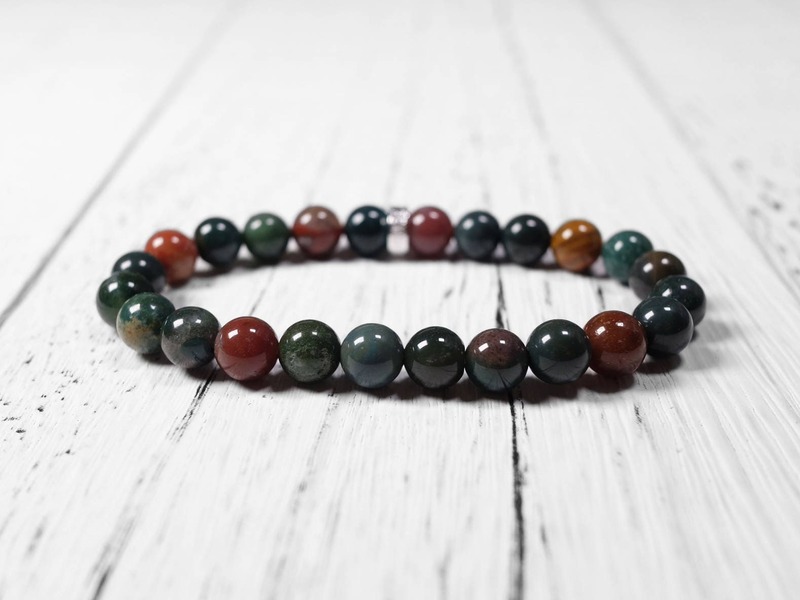 Hence the name bloodstone. 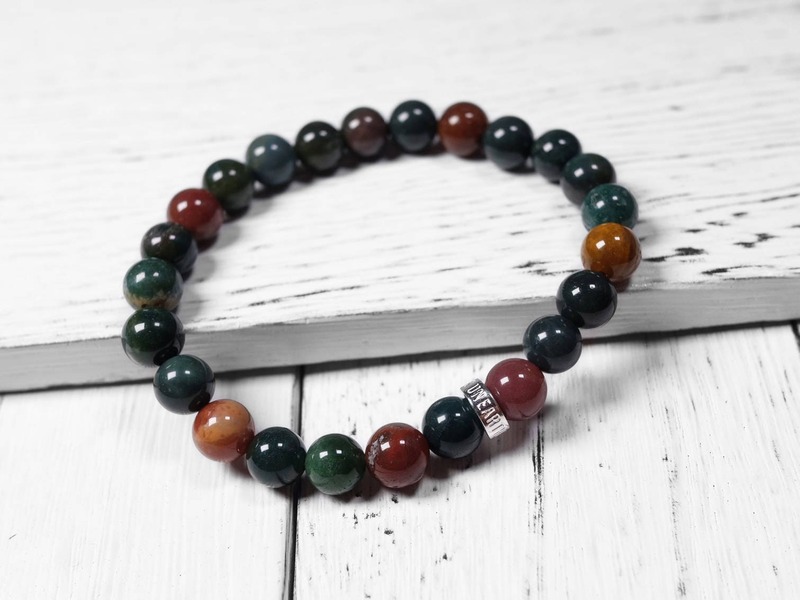 The red part of bloodstone contains the mineral hematite, and the mineral goethite produces the brown and yellow parts. 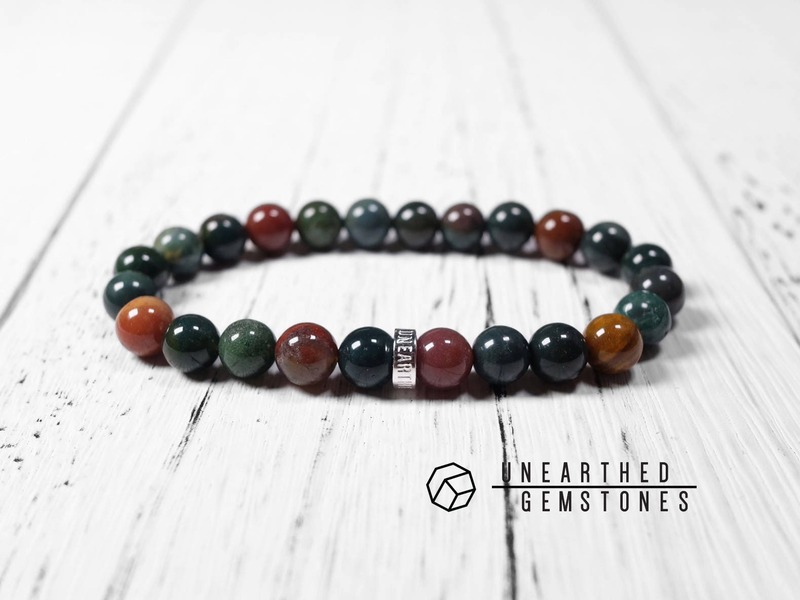 Bloodstone is a traditional birthstone of March alongside aquamarine. 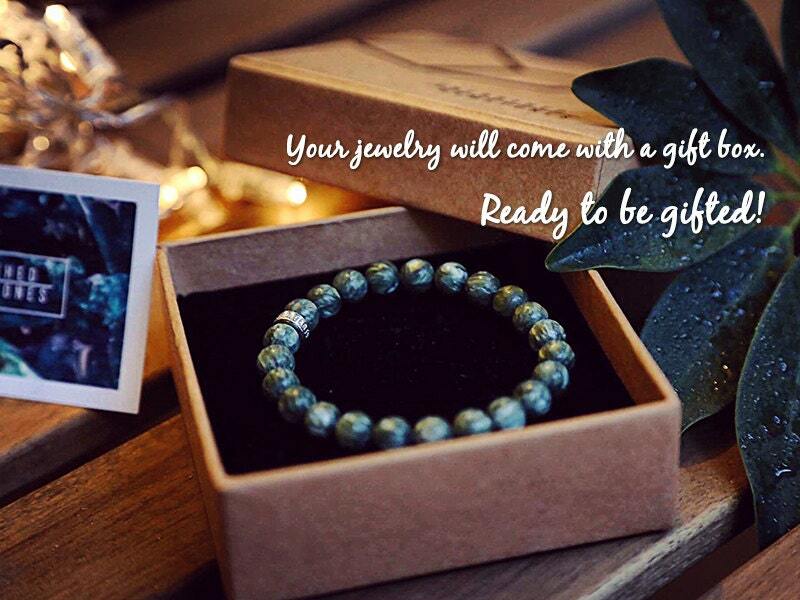 This is the second bracelet that I have purchased. Once again, very pleased with the item. Great customer service as well. Thanks!